When autumn arrives it is very easy to start neglecting the garden and think it can be ignored until spring arrives next year. 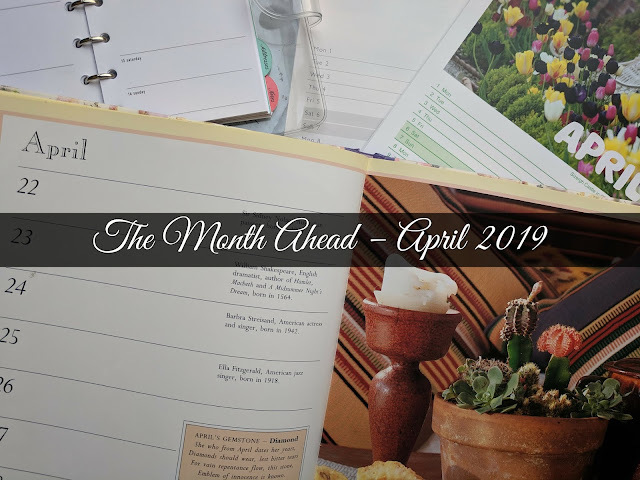 In order to make sure your garden looks its best come spring getting a few jobs done this month will pay rewards when the weather improves. Bring in tender plants – Don't wait for the first frost to strike. You may find your favourite plant won't survive it or the damage done to it will take a lot of time and effort to repair it. Insulate cold frames and greenhouses – During the summer the sun will warm cold frames and greenhouses but once autumn arrives the strength of the sun isn't strong enough. Use bubble wrap to line windows and polystyrene sheets to help keep them frost free. Clean pots – After the summer you'll find you've got a stack of pots and tubs either empty or half filled with the remains of the summer displays. 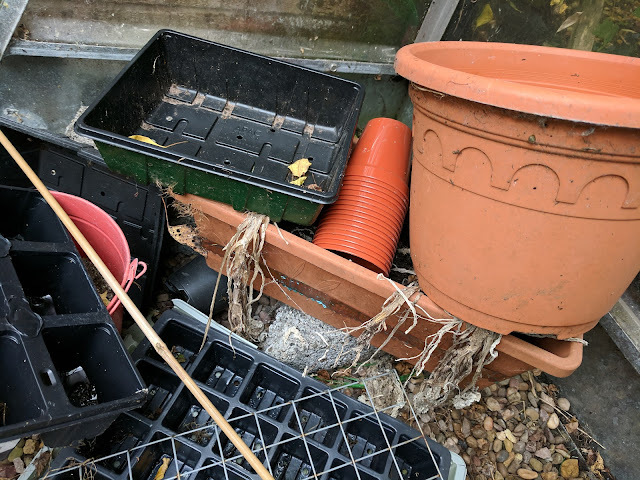 Get rid of any broken plastic pots and keep terracotta bits for drainage. For all the rest of the pots clean and sterilise them with a suitable greenhouse disinfectant. Secure fence and structures – We've already had some strong winds in the past month but the colder months usually bring a few more storms with them. Before you find fences down go round and check how secure they are. Collect leaves up – Tidying up leaves will not only make your garden look instantly neater but if you pile them properly you can make leafmould. This is a terrific free and nutritious home compost. Just make sure you choose a sheltered spot otherwise the next gust of wind will undo all your hard work! Leave something for the wildlife – There's always a danger of making the garden too tidy for wildlife to thrive. Make sure you leave one spot which a hibernating hedgehog or some friendly bugs can make a home in. Keep deadheading – To keep your summer flower display blooming until the frosts come make sure you cut off any dead flowers. Tender plants such as begonias, pelargoniums and petunias will appreciate a bit of care and attention. Plant a winter container – There are many great container plants that are frost hardy and will provide colour through the months. Plants such as pansies, cyclamen and heathers will see you through the coming seasons. You could even plant some spring bulbs to come through later. Make sure the container is well watered to start with but water sparingly over the winter otherwise the plants will rot. 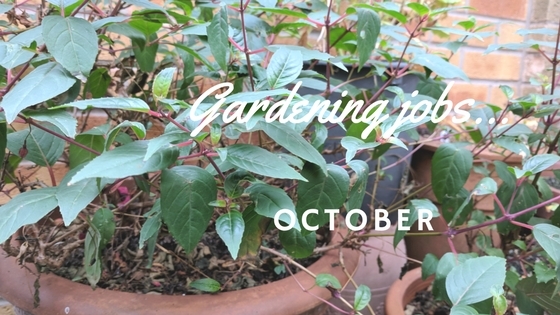 What are your gardening plans for October? 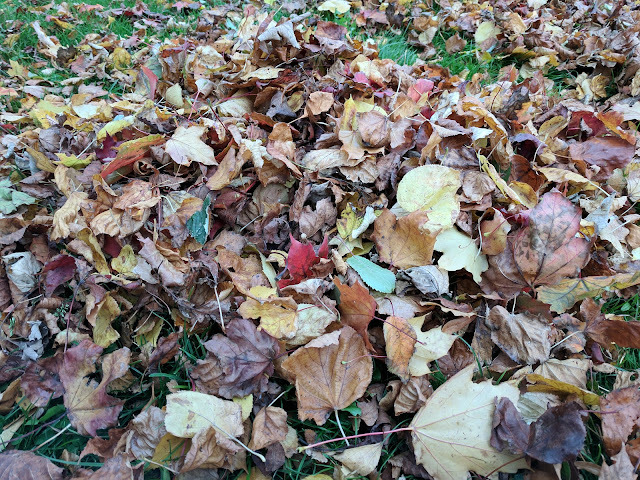 Do you keep gardening in the autumn?